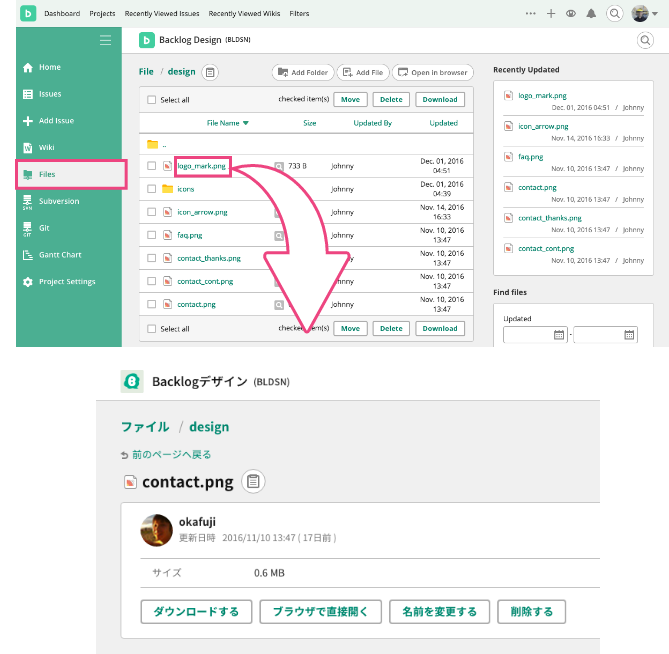 Members can access shared files from "Files" tab on each Project. Select the including folder first and then select the file. File information will be shown when you click the file name. Selected files can be moved or deleted.